I just came across this fascinating article in Science Daily – link & related stories at the end! June 11, 2013 — People who think they have perfect pitch may not be as in tune as they think, according to a new University of Chicago study in which people failed to notice a gradual change in pitch while listening to music. 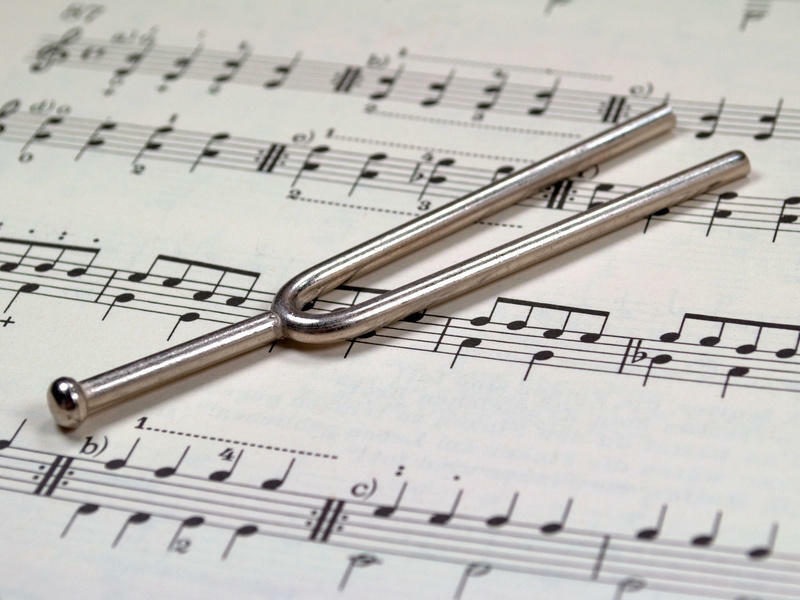 When tested afterward, people with perfect, or absolute pitch, thought notes made out of tune at the end of a song were in tune, while notes that were in tune at the beginning sounded out of tune. About one out of 10,000 people has absolute pitch, which means they can accurately identify a note by hearing it. They are frequently able, for instance, to replicate a song on a piano by simply hearing it. Absolute pitch has been “idealized in popular culture as a rare and desirable musical endowment, partly because several well-known composers, such as Mozart, Beethoven, Chopin and Handel, have been assumed to posses absolute pitch,” the researchers write in “Absolute Pitch May Not Be So Absolute,” in the current issue of Psychological Science. The study showed that exposure to music influences how people identify notes from their sound, rather than having a rare, absolute ability at an early age. The research also demonstrates the malleability of the brain — that abilities thought to be stable late in life can change with even a small amount of experience and learning. One of the researchers, Stephen Hedger, a graduate student in psychology at UChicago, has absolute pitch, as determined by objective tests. Joining him in the study were postdoctoral scholar Shannon Heald and Howard Nusbaum, professor in psychology at UChicago. Hedger and Heald decided to pursue the study after a session in which Heald tricked Hedger by covertly adjusting pitch on an electronic keyboard. “Steve and I have talked about absolute pitch, and I thought it might be more malleable than people have thought,” Heald said. While in the lab, Hedger began to play a tune, and Heald secretly changed the pitch with a wheel at the side of the keyboard. Heald changed the tuning to make the music a third of a note flatter than it was at the beginning of the song. Hedger never noticed the change, which was gradual, and was later surprised to discover the music he was playing was actually out of tune at the end. “I was astounded that I didn’t notice the change,” Hedger said. Working with Nusbaum, an expert on brain plasticity, they devised experiments to see if other people with absolute pitch would make the same mistake as Hedger. The researchers recruited 27 people who were identified as having absolute pitch by standard tests and assigned them to two groups for two experiments. The subjects were tested on identifying notes at the beginning of the experiments, and each was able to correctly identify an in-tune note. One group then listened to Johann Brahms’ Symphony No. 1 in C Minor. In another experiment, a second group listened to music played on a French horn to determine whether individual instruments impact the ability to detect music going out of tune. As the people listened to the symphony, the music was detuned during the first movement (about 15 minutes) to become flatter at the rate of two cents a minute. (The tonal distance between two notes, such as an A and G sharp, is measured as 100 cents). By the end of the movement, the pitch had been detuned by 33 cents, a change none of the listeners detected, much like Hedger. The symphony was then played out of tune for the next three movements. The listeners were then tested after listening to the detuned music, as they had been at the beginning of the session. They identified out-of-tune notes from the newly detuned music as being in tune, while reporting notes they heard in the pre-test were slightly out of tune. Another test composed of only five notes, called phase music, equally found that people with absolute pitch changed what they determined was in tune after listening to the slightly out-of-tune music. That included notes not actually heard as detuned during the musical exposure. In both tests, only the specific instruments used in the compositions were affected by the detuned nature of the listening experience. Neither the Brahms’ Symphony nor the five-note compositions used a piano or French horn, and after listening to detuned music, notes played on these instruments were unaffected. “Listening to detuned music significantly shifted the perceived intonation and generalized to notes that had not been heard in the detuned music,” said Nusbaum. The researchers are now experimenting with people who have more limited pitch identification ability and are finding that their pitch identification can be improved. “This is further evidence of how adaptable even the adult mind is for learning new skills. We are finding out more and more about how our brains are equipped to learn new things at any age and not limited by abilities previously thought to be available only from the time of birth,” Nusbaum said. The above story is reprinted from materials provided by University of Chicago. The original article was written by William Harms. This entry was posted in About Brendan Ball and tagged absolute pitch, brain training, developing, Ear training, learning perfect pitch, perfect pitch. Bookmark the permalink. 4 Responses to Can Perfect Pitch Be Learned At Any Age? Thanks Matt – I’ll look into it.